This never-before-listed, large 2 bed, 2 bath, gorgeous, main floor unit with a private patio(and a BBQ gas line)is vacant and ready to move your furniture into! Gorgeous ESPRESSO hardwood floors throughout! The kitchen features Espresso cabinets, black appliances, tile back splash and GRANITE counter tops including a sit up Breakfast Bar!The large dining area off the patio is perfect for entertaining, while also giving you two entries into your new home :) The bright, west facing living room has tons of windows AND a FIREPLACE!! And the LOCATION!! 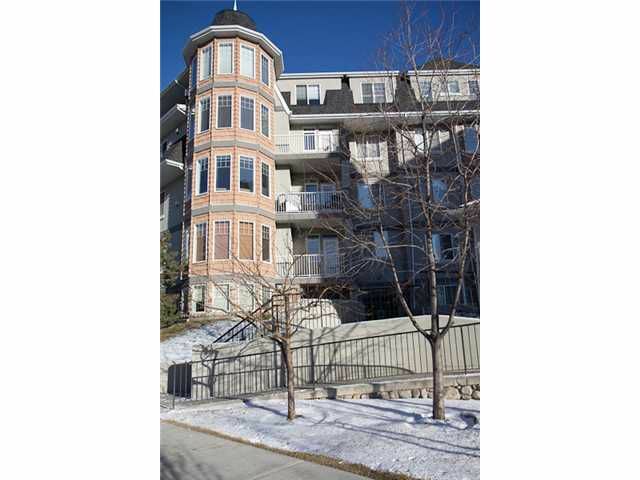 Unbelievable downtown access via path system, a quick drive through Mission or hop onto the LRT that is only 2 blocks away! And the lifestyle of this small exclusive community is unparalleled being one block to the river, Lindsay Sport Park, two blocks east to Stampede Park or two blocks west into the heart of Mission with boutique shops, great restaurants, grocery store, drug store, salons and specialty shops! !